When you rent a storage unit, you will probably be moving a significant amount of stuff into it — after all, that’s what it’s there for! After packing up all the stuff you plan to move and placing it into whatever containers you choose to use, you now have to load everything into your vehicle and move it into the storage unit. Even if you are in good shape, the constant lifting and shifting of boxes can wear on your body and increase your chances of injuring yourself. At Affordable Family Storage in Des Moines, we want you to say safe when you’re moving items in and out of your storage unit. In today’s blog, we take a look at the steps you can take in order to reduce your chances of getting injured. 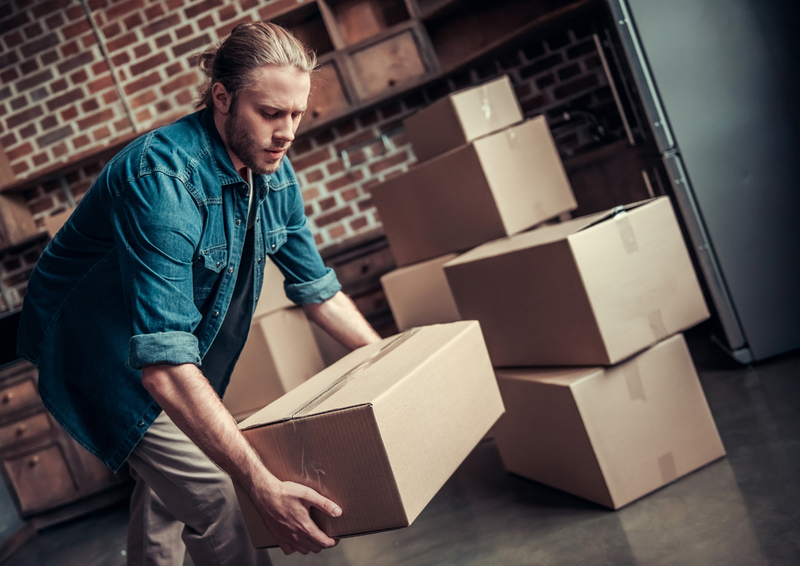 When you are moving items in and out of your storage unit in Des Moines, using the right lifting position is the most effective way to avoid injuring yourself. When you lift something, be sure to use the strength in your legs and not your back. So, if you are trying to pick a box up off of the floor, squat down, grab the box, and stand straight up — don’t hunch over the box and strain your back trying to lift it up from the floor. Even if the container isn’t extremely heavy, picking it up incorrectly can put unnecessary strain on your back, leading to strained muscles or ligaments. Once you’ve picked up the container, there are a few more things you need to do to reduce the chance of injury. Keep the box close to your body and keep your arms bent. Don’t lift the box over your head and don’t twist your torso. If you have heavier boxes that are going into your storage unit in Des Moines, we recommend using the team lift method. Recruit a friend or family member to help you pick up the container — just be sure to lift with your legs! All of these items can protect you from injury and make moving boxes and containers so much easier. You can rent or borrow a dolly or hand truck, and a pair or two of work gloves are always handy to have around! If you are looking for a safe, climate-controlled storage unit in the Des Moines area, Affordable Family Storage is the perfect choice! We offer a variety of storage unit sizes, so whether you need a small space for a few items or something a bit larger, our storage facility can help. Check out the sizes available on our Des Moines location page, and use our storage calculator to figure out exactly the size you need. Contact the Affordable Family Storage office with any questions.